This mowning's bike ride was delicious thanks to unusually dry and crisp early-morning weather. The light was awesome by the time I reached Flatwoods, and I took a mini-detour into the woods and spider webs off Morris Bridge Road to snap off a few shots. Good morning from SheiKra from Busch Gardens and . 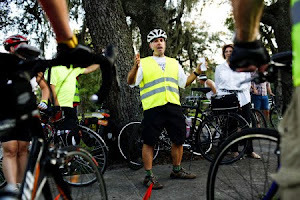 . .
Tonight, Bicycle Stories visited the last city of Tampa Friday night concert at Lowry Park. A horn band played everything from "Celebration" to Glorie Estefan's tunes. This fella stole the show with his dance moves. I was touched by this scene. This fella in his wheelchair began to boogey and get down during the "Celebration" song. Why, I believe it's the Critical Mass ride returning back tonight. For years, everyone has talked about how the Tampa Bay area has the potential to be a mecca for cycling. 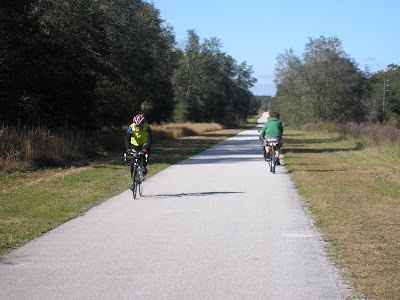 We have the wonderful hills of east Pasco County, the Withlacoochee, Pinellas and Suncoast trails and year-round cyclable weather. But in recent years, the city government in Tampa has lagged behind St. Petersburg in bicycle infrastucture. Now you have a chance to tell Tampa city officials and workers that the time is now to make Bayshore the bicycle jewel of the city is ought to be. I don't ride my bicycle on Bayshore for several reasons -- the pocked road surface is horrible with gaps between the concrete sections; no bike lane on one side; and a bike lane that disappears on the other side as the road heads to downtown. I don't ride a road bike on the Bayshore sidewalk. 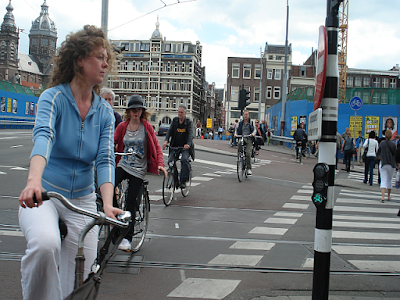 For me, it's too dangerous to ride a road bike amid pedestrians and other non-bicycle users. But the city has come up with a new plan for Bayshore and I urge you to attend a public meeting about Bayshore that is set for 4-8 PM June 10 at the Garden Club at 2629 Bayshore Blvd. I hear the plan shows a new-and-improved Bayshore, complete with bike lanes and a traffic signal at the Platt Street Bridge -- something I have been asking about for years. Make your voice heard at the June 10 meeting and tell city employees and officials you want a Bayshore Boulevard that is friendly and safe for bicyclists. This morning I took a neighborhood trek. Most schools have an institutional look, but the Sligh Middle School has a cool mural showing the Hillsborough River on two sides of its building. This morning on the trek I passed this fella, changing the price of gas to $2.40 a gallon. Still cheaper then milk. Whenever I see a big ol' puddle reflecting an image I think of Carroll Brewster, the president of the college I attended way back when. Brewster would summon the college photographer and get him to shoot a photo of the quad or academic building mirrored in a pool of water collected after a big rainstorm. Ya never know when you would have to whip out that photo for some fund-raising occasion or brochure, after all. Me, I just think this plate of water in Rowlett Park at Mile 3 of my morning Flatwoods ride is a cool Florida scene. Folks, many of you used the now-closed Friendship Trail and want the trail re-opened. Well, you'll get your chance to talk at two important public meetings to held by the Friendship Trailbridge Oversight Committee -- a public panel made up of county commissioners and staff members from both Hillsborough and Pinellas counties. The meetings will be in June. They have not been scheduled as of today. -- inspection and invasive testing of the lower spans of the bridge on each side confirmed the initial reports that girders were heavily corroded and broken. -- significant repairs would be required from the entrances of the bridge up to the ends of the catwalks on both sides. A full repair of the entire bridge, in order to reopen it to recreational use, would cost $15 million, but would only extend the life of the bridge an additional ten years before it would need to be demolished. -- repairing just the spans from the entrances to the ends of the catwalks would cost $10 million, which would include demolishing the high span. But the repaired sections would still only be structurally sound for 10 years, and require eventual demolition. -- demolishing the entire bridge and building two new fishing piers now at either end of the bridge in its current location would cost $17.5 million. These piers might eventually need to be relocated when a new Gandy Bridge is built, after the current one outlives its life span. -- demolishing the entire bridge and building new fishing piers off the new Gandy Bridge after it is constructed would cost $13 million to demolish the bridge now and an additional estimated $6.5 million to build the new piers in the future. The Citrus County Chronicle published a great editorial citing the benefits of bicycling in Citrus County. So, you want to bike on the streets of Tampa? Be careful and vigilant about your safety when you bike. A St. Pete Times story says it will cost $15 million -- not $30 million as originally thought -- to repair the Friendship Trail Bridge so that its life would be extended by 10 years. The story says there was a meeting at 1 PM TODAY on the Friendship Trail. Can the county please give people more lead time regarding these meetings? TAMPA -- Making the Friendship Trail Bridge safe for fisherman, inline skaters and bikers may not cost as much as initially thought. The firms Kisinger Campo & Associates and SDR Engineering Consultants have told Hillsborough and Pinellas counties that repairing the former Gandy Bridge span to make it safe enough for recreational users may cost $15 million. A previous preliminary estimate placed the cost at twice that amount. * Repairing the bridge for $15 million, which would make it safe for recreation for about 10 years. * Repairing both ends of the bridges that include catwalks used for fishing, which would run about $10 million and still need to be demolished in 10 years. * Demolishing the entire span and building two new fishing piers at either end at a cost of about $17.5 million. New fishing piers may have to be demolished when a new Gandy Bridge is built in several years. * Demolishing the entire span and building two new fishing piers when a new Gandy bridge is built, at a cost of $13 million for demolition and another $6.5 million to build new piers. The full report can be viewed at www.hillsboroughcounty.org/publicworks. Click on "Publications." A presentation will be made to the Friendship Trail Oversight Committee at 1 p.m. today at the Jan Platt Library, 3901 S Manhattan Ave., with public hearings to be scheduled in June before presentations to the Hillsborough and Pinellas county commissions. In downtown St. Petersburg, you'll see an occasional bicycle on a sidewalk. As far as bicycling goes, Tampa will never be confused with Portland or Minneapolis or Boulder or Davis, Calif. -- or even St. Petersburg, for that matter. But there's no denying the motley bunch of bicyclists you see on the streets (and sidewalks) around these here parts in the city of Tampa. Like John, here, who I met this morning at Rowlett Park at mile 3 of my morning 46-miler to Flatwoods. John has not one trailer but TWO bike trailers, including one that is hauling a TV set and a BBQ. Check out the double trailer action, complete with American flag to honor Memorial Day. Regardless of your politics, take a moment to consider and acknowledge the loss of so many American lives. The extension of the Pinellas Trail into downtown St. Petersburg is an impressive piece of bicycle infrastructure. But for a few landowners along the trail, they feel they were not adequately compensated by the city and have sued. You're probably wondering why hasn't Bicycle Stories posted any Flatwoods photos recently. So for you Flatwoods-in-the-morning fans, this one is for you from this morning. There are all types of techniques you can deploy to get drivers to be safe around you while you're on a bicycle and this bike owner used the always reliable "Baby on Board" sign for his safety strategy. 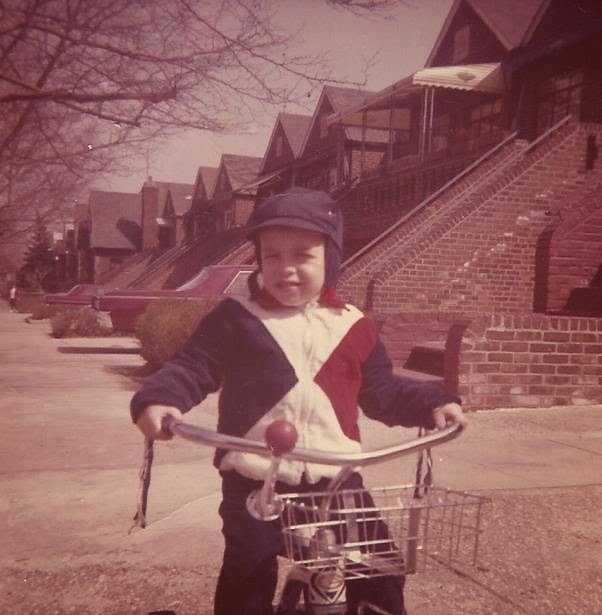 I also love the little cooler on the handlebar and the big ol' American flag on a pole on the back. My frient Picot sent me the link to a New York Times item that shows the mayor of London nearly hit by a truck while bicycling as he biked through London during a ride. The mayor was biking with other officials checking out bike routes. Before the thunder struck and the rain poured this afternoon, I snuck in a quick 32-miler over the Gandy Bridge and back. Here's a Share the Road sign on the Tampa side of the Gandy Bridge as I head west to the Gandy Bridge. Yes, escape from Hillsborough County. Yup, the Friendship Trail is closed. I have a feeling Pinellas and Hillsborough counties are going to deep-six the Trail bridge. There it is -- closed. When I came back to the Tampa side, I biked down Gandy Avenue to Bayshore Blvd., and biked to the city's Freedomfest festival to mark the opening of 40 percent of the Riverwalk trail along the Hillsborough River. I heard the promotion and publicity for Freedomfest were weak -- and that was obvious because Freedomfest meant freedom from people. Check out the crowd. When I was there around 2 pm there were about two dozen people there, tops. With the on-again, off-again rain showers, I kept it local in the neighborhood and trekked around the Seminole Heights 'hood. I include Lowry Park and the Zoo, which features a very nice bicycle rack. TVs on the street and alleys are pretty common these days. Have you noticed adult trikes popping up more and more? Nothing like a little rain every day to fill up Lake Roberta, which was a mere mud hole before we became Rain City. With the rain came the proliferation of duck life at Lake Roberta. A few monthss ago, SWFBUD contacted Don Skelton, the DOT chief for our Tampa Bay district, to install Share the Road signs on Gandy Avenue near the Gandy Bridge and clean the Gandy Bridge shoulders more consistently given the fact that Hillsborough and Pinellas counties closed the Friendship Trail. It's very doubtful the Friendship Trail will open again because of structural problems. The department has evaluated the feasibility of providing for a physical barrier between the traffic lanes and the shoulder of the Gandy Bridge. Our findings indicate the required six foot, one-way or twelve foot, two-way, clear width required for multi-use paths across the Gandy Bridge cannot be provided for two significant reasons. First, the bridge structures were not designed to accommodate the additional loading from the weight of the barrier walls required. Second, the addition of a separated multi-use path would eliminate the required pavement shoulders across the bridge. These pavement shoulders provide for a critical safety feature for vehicles to use for emergency purposes. In accordance with Section 335.065, Florida Statutes, the department has also evaluated designating the bridge shoulder as a bicycle and pedestrian way by means of pavement markings without a physical barrier. At present, the department cannot designate the bridge shoulders for bicycles and pedestrians due to a 5 year crash history from 2002-2007 indicating a significant number of crashes involving the barrier walls and also due to the lack of required pedestrian and bicycle railings on top of the barrier walls. Please note that S.R. 600 (Gandy Boulevard) is not a limited access facility and the department’s policy is not to restrict bicyclists or pedestrians from using the shoulder across the Gandy Bridge. In consideration of the above, the department will add street signs along the roadway approaches in advance of the bridge ends to indicate that motorists must share the shoulder. Please expect these signs to be installed within four weeks from this date. The department appreciates the time you have taken on behalf of thousands of bicyclists in the Tampa Bay area to express interest of a multi-use path across the Gandy Bridge. 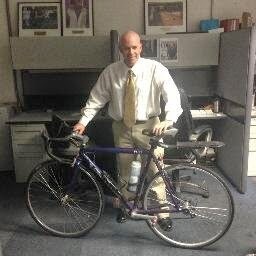 Thank you for your interest and concern for the bicyclists in the Tampa Bay area. If there is any additional information we can provide you regarding the Gandy Bridge, please contact Mr. Ronald Chin, P.E., District Design Engineer at Ronald.Chin@dot.state.fl.us or at 813/975-6030. But we need more Share the Road signs and we need better bridge shoulder cleaning. SWFBUD definitely supports local efforts by bicyclists to contact our elected officials at the city, county and state levels to install more Share the Road signs and to clean the glass and debris that's present in the shoulders. It's terrific that an email is circulating advising bicyclists to contact our local elected officials in Tampa, St. Pete and at the state to improve the Gandy Bridge for bicyclists. The email from David Homan offered some good email resources and I'm also printing the proposed message. 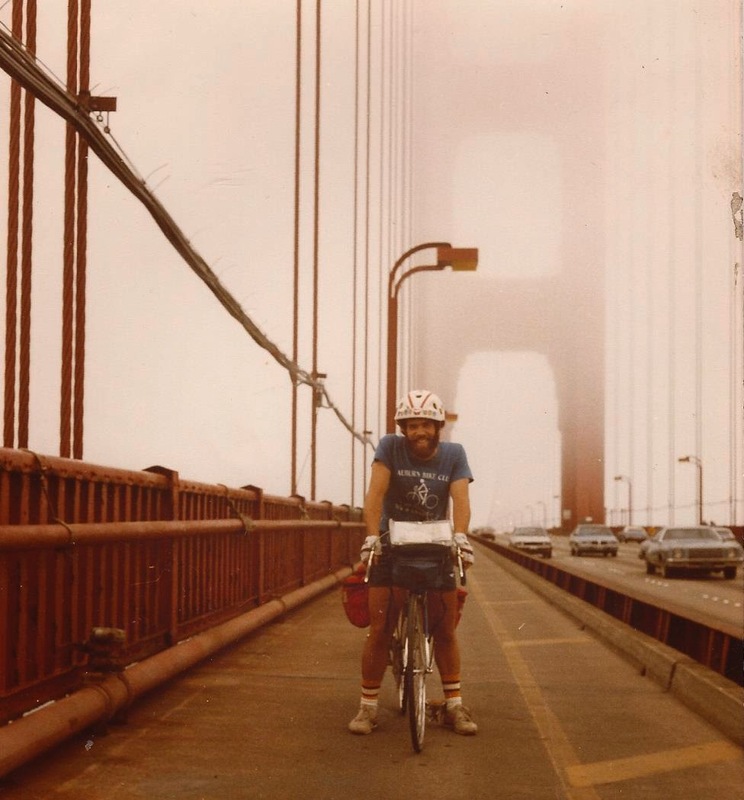 I am writing to let you know I am one of the cyclists who used to ride across the Friendship Trail Bridge between Tampa and St. Pete as part of my weekend ride (or work commute or whatever). Since this bridge had to be closed due to structural problems, I am now riding across the Gandy bridge using the same spans as cars and trucks. It is not safe, but the "breakdown" lane can be used as a bike lane and it is my only alternative. I realize the cost to repair the old Friendship Trail would run into the millions and is not likely to ever happen. For a fraction of this cost, the D.O.T. could install some "Share the Road" signs on the Gandy Bridge to at least make it a little safer for cyclists like me who must now share the road with motorists. It would also be nice if the breakdown lane could be cleaned more regularly. This lane must now be used as a bike lane, but is frequently littered with debris and broken glass. Though unnoticed to someone traveling in a car or truck at 55+ mph, these are serious hazards to someone on a bicycle. It would be great if a streetsweeper could pick up the garbage in these lanes once a week, twice a month, or at least once a month. Thanks for your help in making the Gandy bridge safer for all of the cyclists who use it to travel across Tampa Bay. As most folks know, the Rays manager, Joe Maddon, likes to bike along Bayshore Blvd. in Tampa. 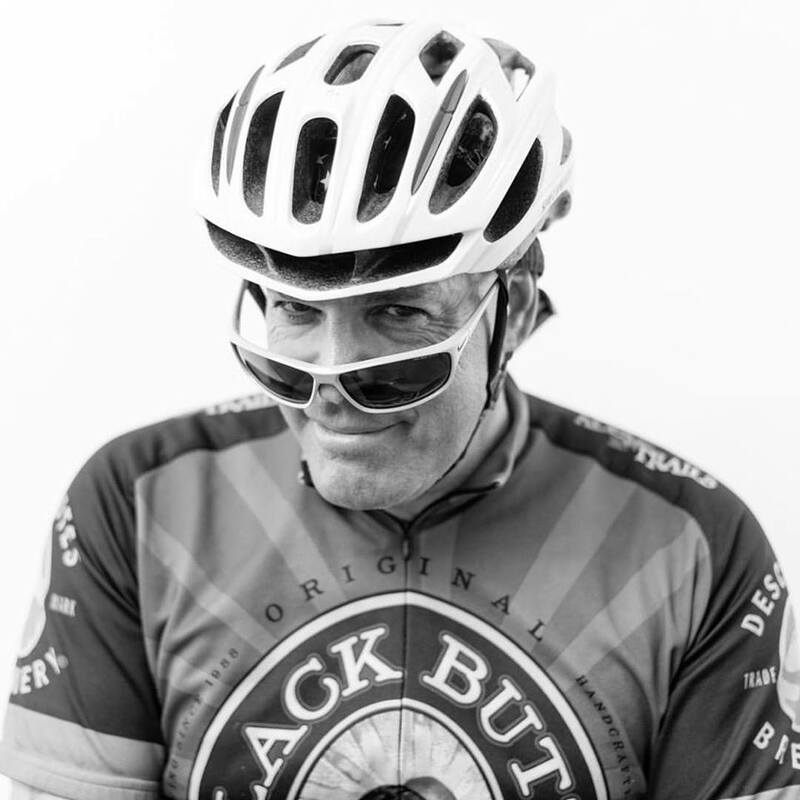 Pete Williams caught up with Joe for a Q & A about bicycling. 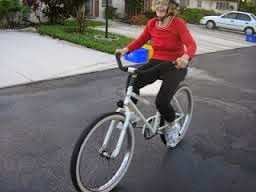 TBO did something on Maddon biking on the road when the Rays play away from St. Pete. And the New York Times did a story last year that included Maddon doing his best thinking on a bicycle. You might recall that SWFBUD contacted the city of Tampa a fewe months ago on behalf of BMXers protesting that a new park that is open to skaters is not off-limits to BMXers. The St. Pete Times got around to doing a story about the fact that BMXers can't use this park. If you're going to commit a crime and use a bicycle, at least have a light if you're biking at night. This St. Pete Times story spells out why. A man police say was riding his bicycle without a light early Tuesday might have had a reason for not wanting to be seen. Mario Key, 19, of Dunedin was stopped for not having a light at 12:17 a.m. Tuesday on 2nd Avenue NE in Largo. According to Largo police, Key attempted to flee by foot, at which time he threw a bag onto the ground and removed his sweatshirt, police said. The bag contained another bag, which held marijuana, plastic baggies and a digital scale. The shirt contained a loaded gun, police said. The gun’s serial number had been scratched out. Key, who was released on $15,300 bail, was charged with two felonies — carrying a concealed weapon during a felony and possessing marijuana with intent to sell or manufacture — and two misdemeanors. And by the way, police also cited him for the bicycle violation. Citris County is home to the Withlacoochee Trail, a 46-mile ribbon of pavement that includes some stretches that run through some of the prettiest tree canopy in Florida. 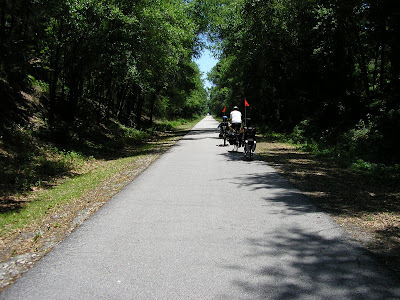 In general, a great option for bicycling is cycling in Citrus County. 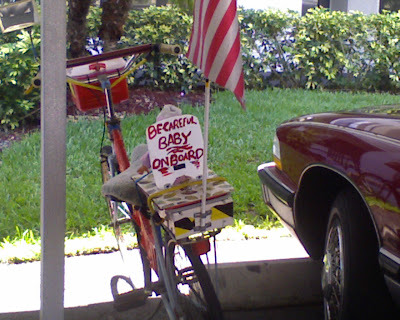 Check out this story about Citrus County bicycling. May 15 Is Bike To Work Day!